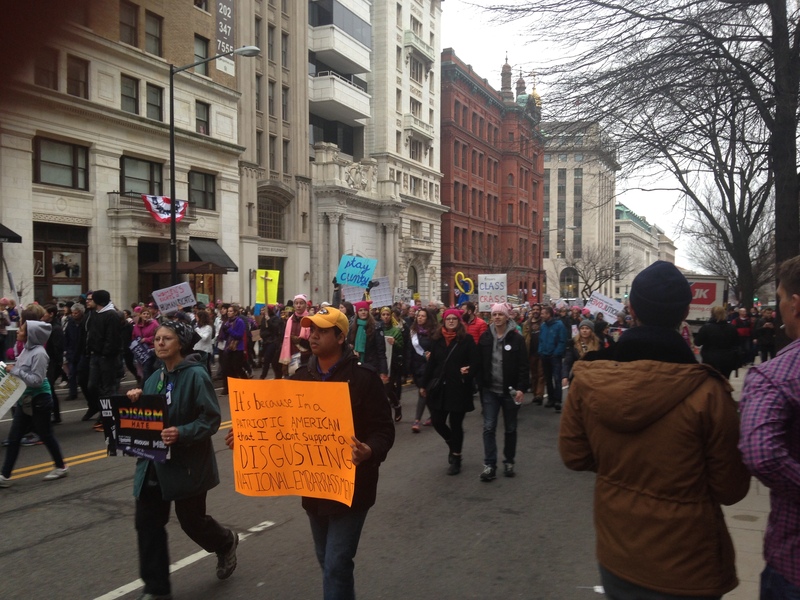 Yesterday, Washington was overwhelmed by loud, obnoxious, stupid, foul-mouthed people most of whom were women. They refuse to accept Donald J. Trump as president of the United States. Madonna is expected to be investigated by the Secret Service. 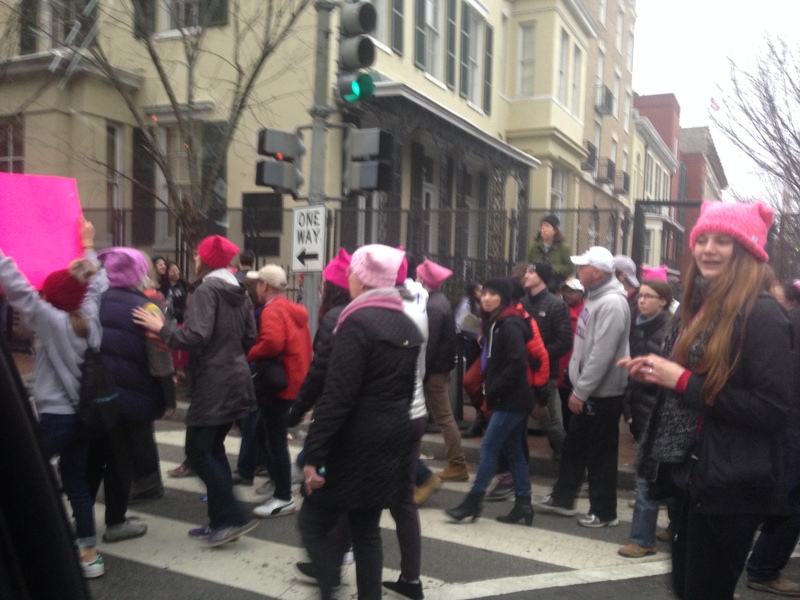 In front of an estimated half million people, the wrinkly hag wore a black “pussyhat” and used the F-word four times. Commie mockumentary maker Michael Moore handed the microphone to whackjob actress Ashley Judd who read a poem aloud. So many washed-up celebrities turn to political activism as people stop caring about them. Sad. It’s a coping mechanism Mother Nature invented to ease them into irrelevance. Marchers carried around vulgar signs. 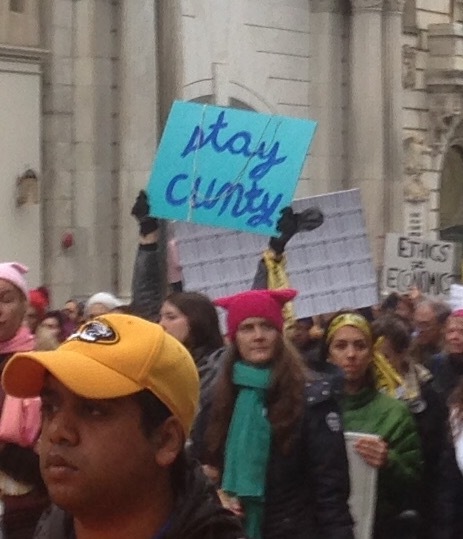 The “stay cunty” sign shown in the above (and below) photograph is typical.